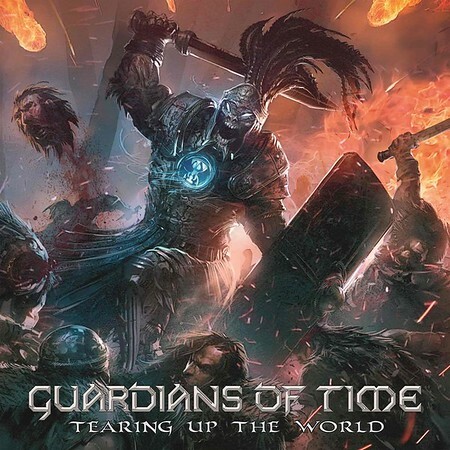 Norwegian metal band Guardians of Time released their latest album “Tearing Up The World” via Rock of Angels Records (ROAR!) on 19th October. This is the band’s fifth album since forming in 1997 and it features guest appearances from Tim ‘Ripper’ Owens and Abbath. The track “As I Burn” featuring Owens on vocals was included on the Friday NI Rocks Show on 26th October. Guardians of Time formed in 1997 and released their debut album “Edge of Tomorrow” in 2001. That was followed in 2004 by “Machines of Mental Design” and a series of European tours. The band went into a hiatus for a number of years before reforming with a new line-up and releasing their third album in 2011. The fourth album followed in 2015. Two of the band’s founding members remain – Bernt Fjellestad on vocals and Paul Olsen on guitars. They are joined by drummer Willy Aaraas and bass player Jonkis Werdal. Black metaller Abbath performs on the album’s title track “Tearing Up The World”.